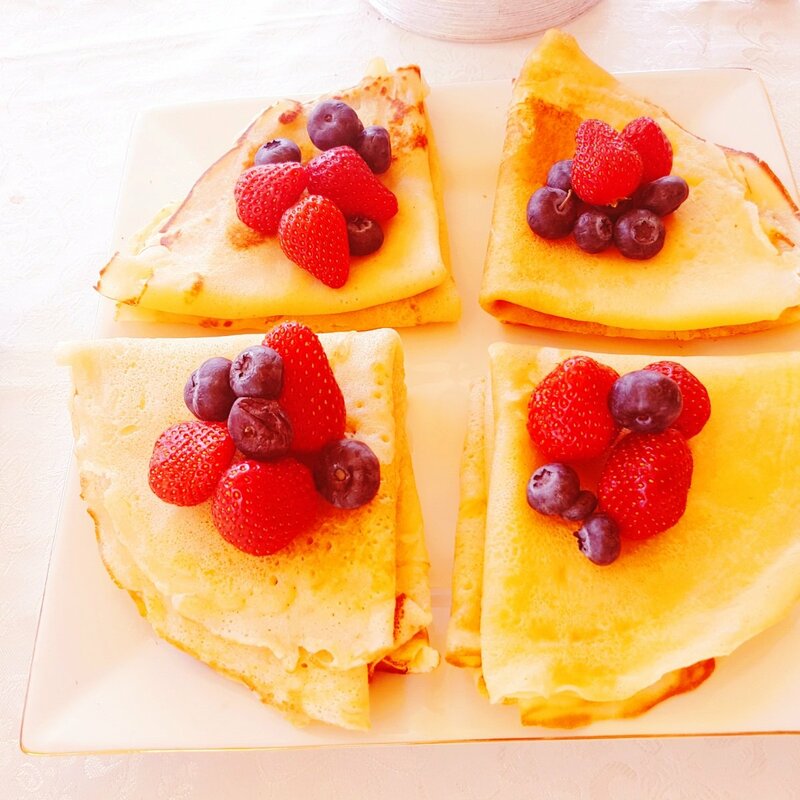 Crepes are very thin pastry fried in a frying pan. It’s best when fried in a non sticky frying pan. 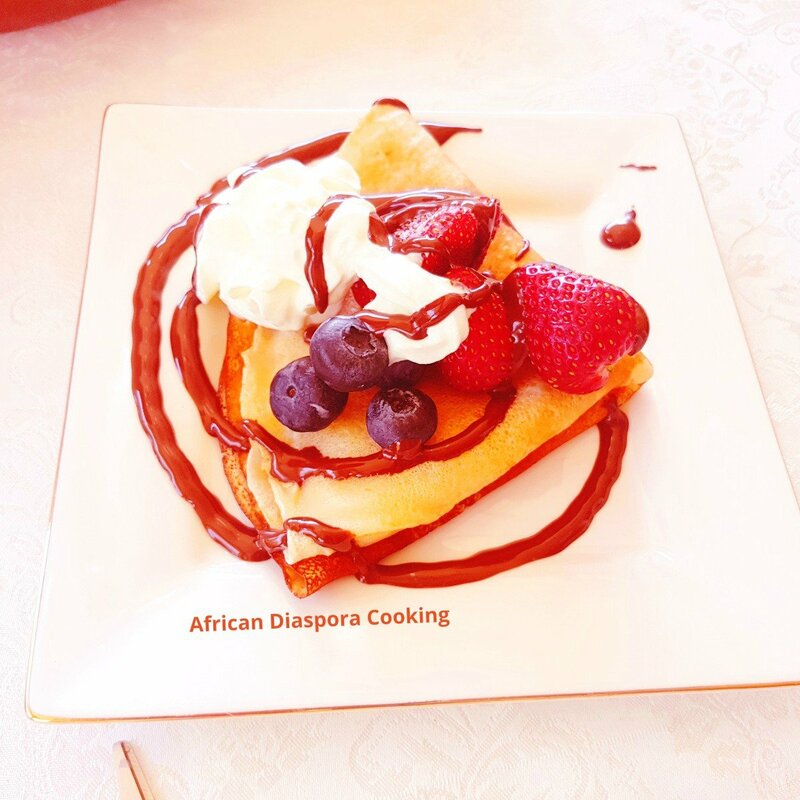 When frying crepes l enjoy flipping around process. 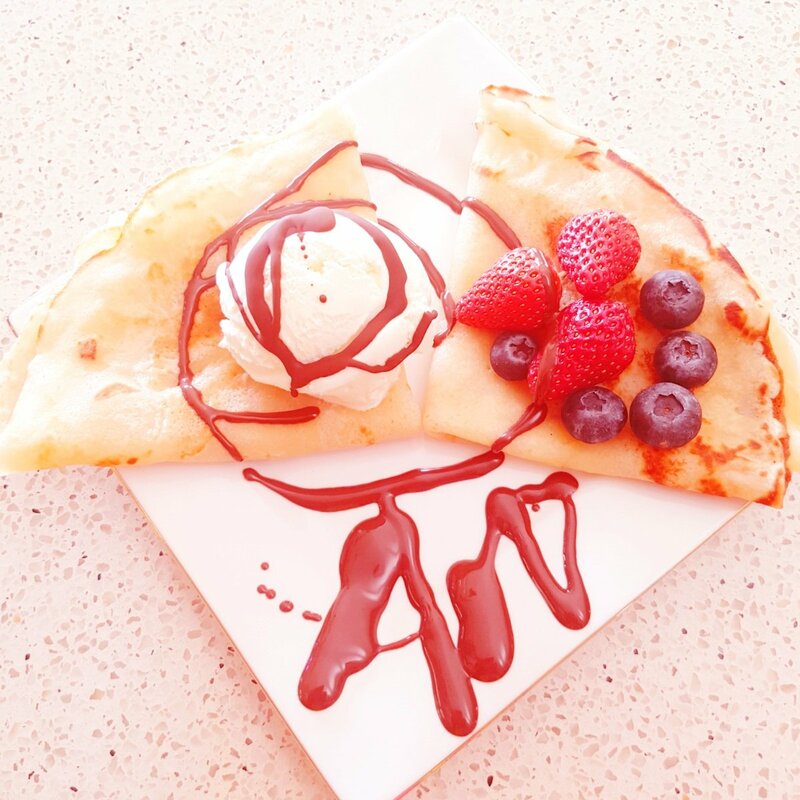 I ‘ll flipp my crepe to turn sides. This delicious french street food can be dressed up with different marmalade, chocolate paste, Jam, honey, ice cream and yogurt. It can be eaten with fruits like strewberries, blueberries and cherries. The first crepes l made was when l was 8 years old. It was a beautiful experience. I was very curious about kitchen stuffs. Now you see why l love cooking. It’s something that i can’t do without. Yeah ! My first crepes were very delicious though i added some food coloring and my classmates were so excited because my pancakes looked green and red. I used to make my crepes to take to school once or twice per week. 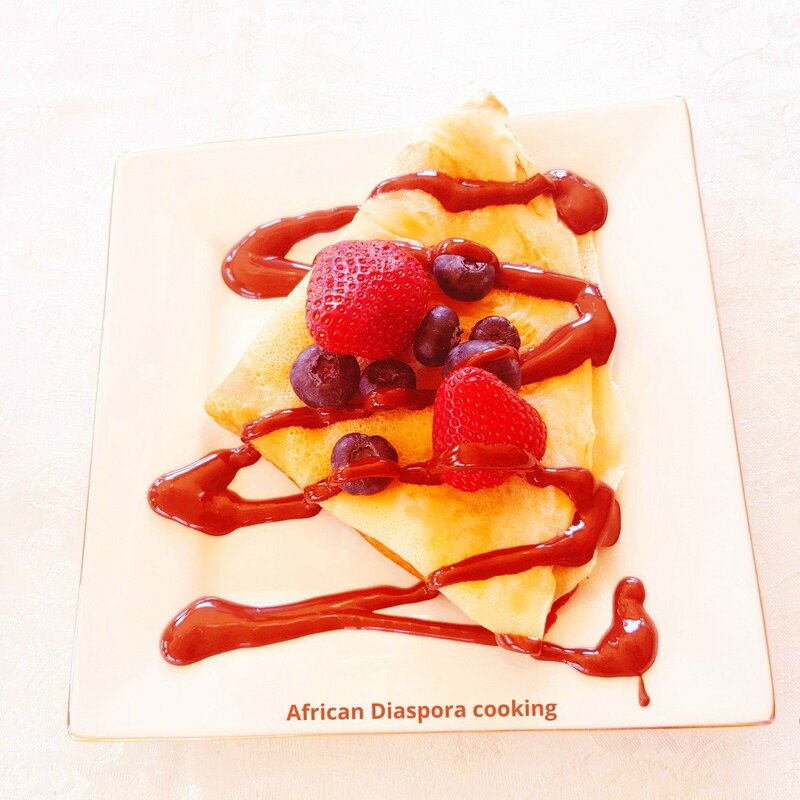 Crepes are very delicious and easy to make. 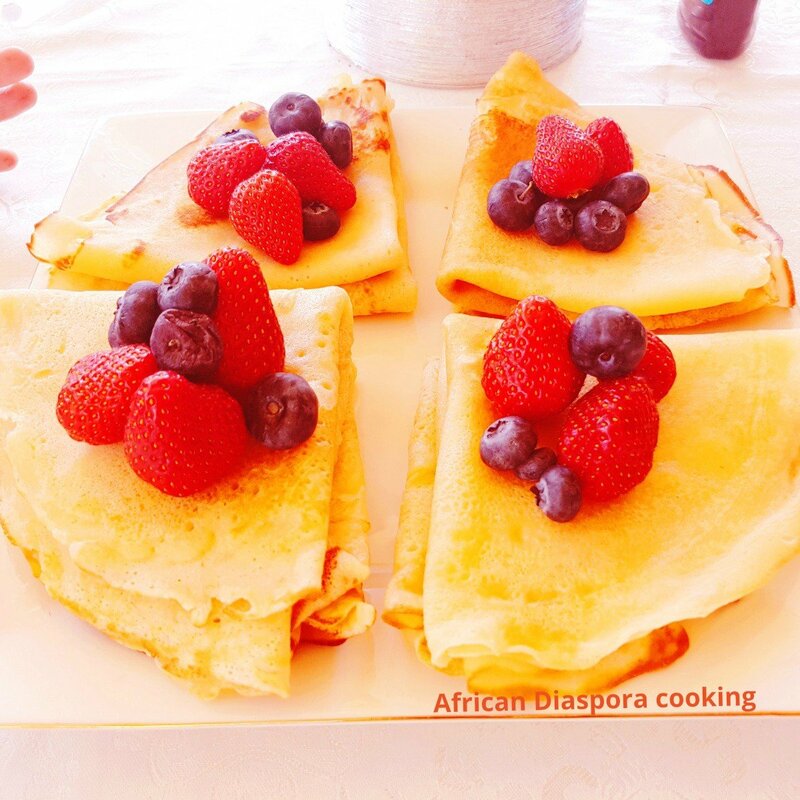 In Cameroon we call them pancakes but these are actually crepes. It’s very good for breakfast and snack. When preparing crep we need to prepare our wet and dry mixtures and then mix them together. In a mixing bowl, sieve flour, sugar and baking powder and salt. Then set aside. In another bowl, crack eggs pour milk, add melted butter, vanilla essence and stir properly. Now mix both the dry and wet mixture together properly. Place a large non sticky frying pan under medium heat. Use measurement of your choice to dish out the pastry to the frying pan. Flipp the other side of your crepe when one side is done. It shiuld be golden crispy but moist . Alluminium foil pappers are best to keep them moist . Serve with any toppings i mentioned above. Leave a comment below how my recipe was helpful to you .